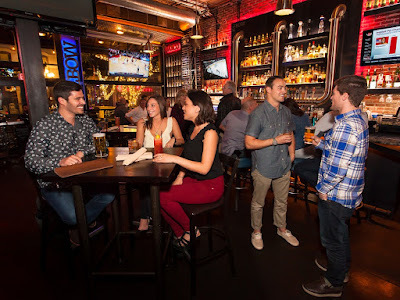 Everyone loves a good bar crawl, especially one to kick-off the summer fun. That’s why we’ve created a list for the ultimate bar crawl experience that includes a safe and inexpensive method of transportation… the COASTER train! Start your crawl in downtown and work your way to Encinitas, trying San Diego’s iconic staples up the coast while taking in the picturesque seaside views along the way. Start your journey in downtown San Diego with several of the Gaslamp’s most notable watering holes and eateries. First stop…barleymash! Located on the energetic Fifth Avenue, this restaurant and bar pays homage to two barroom staples: beer and bourbon. While there are a numerous “taps and caps,” go for a specialty bourbon drink such as the Pumpkin Spiced Cocktail with Old Forester Bourbon, house pumpkin syrup, lemon and orange bitters. 1919 is San Diego’s favorite hotspot for game-watching and drink-slinging. 1919 is a throwback to what neighborhood sports bars used to be. Simple drinks, served quickly, so that you can focus on the next play. Not so traditional is their pickle-back shot program that is sure to make anyone look like a drinking pro. Order a sip or shoot with one of their specialty-created chasers, such as the Bulleit 10 with a Cucumber Pickle Back or the Herradura Reposado with a Pineapple Jalapeno Pickle Back. Take a trip to the East Coast without having to go far from your Coaster stop. The New Yorker is known for their New-York style pizza and city décor, but their drinks are just as rave-worthy. Make sure to hit this spot on your bar crawl and take a sip of their Drunk Arnold Palmer that’s made with honey, fresh lemon juice, vodka and iced tea. Sometimes all you want is a glass wine. Whether you prefer red or white, a fruitier or drier taste, Sirena Cocina offers an impressive wine list that features a top-notch collection of wines from Latin America and Mexico. Similarly, their list of libations rich with Latin American flavors will erase any potential criticisms from the craft cocktail aficionado in your group. Best part? It’s right near the COASTER station! 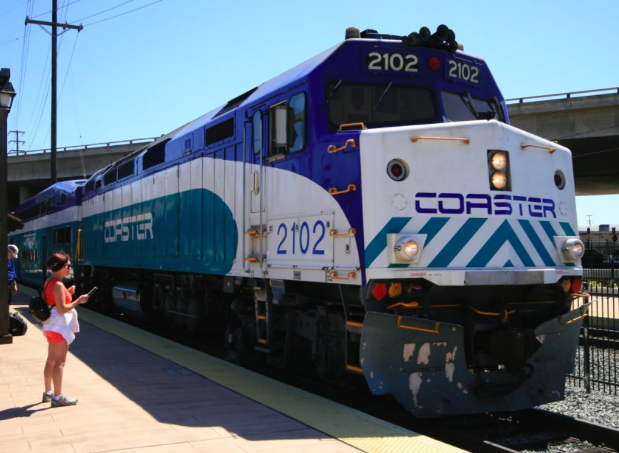 Board the COASTER at the Santa Fe Depot stop to begin your journey north to Solana Beach. Once arrived, be transported to days-gone-by at Pillbox Tavern, a “retro modern” beach bar that overlooks the Pacific Ocean from the Cliffside neighborhood of Fletcher Cove. Grab a seat at the bar to see what the newest additions to the rotating local tap beers happen to be. Or, order their signature libation, Sunday in the Saddle, with Bulleit Rye, Grand Marnier, lemon juice, agave syrup, angostura bitters and apricot preserve. You might just be tempted to taste more than one while talking with the resident drinkers from the area. It’s always hard to say goodbye, but get back on the COASTER for a few more northern destinations. Stop at the Encinitas station and be reeled in at Fish Shop in Encinitas will their well-thought out list of local and California microbrew beers and selection of wines. Make sure to savor your beverage al fresco on the cozy outdoor patio. If you’re hungry, their selection of fresh fish (with over a thousand combinations to choose from) will please even the pickiest eater. Last stop! 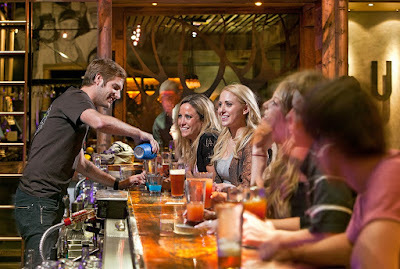 Encinitas’ Union Kitchen & Tap is an ideal destination to end a delightful day. Inside you’ll find a bar constructed with an old railroad track, a perfect salute to the COASTER that made this outing possible. Toast the day in the seaside town with their signature cocktail, the Beetnik, made with Hendrick’s Gin, beet, cucumber, basil and ginger. Let the good vibes wash over you, but don’t forget to make the last train back home! Don’t let your Saturday bar crawl de-rail. Hop on board the COASTER train and lose track of time at some of San Diego’s local favorites.